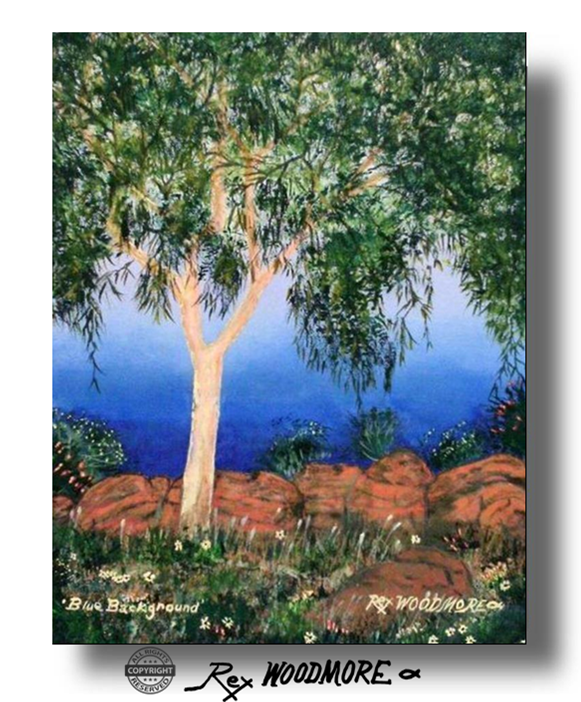 ​Forest, Outback , Desert, Rural and Farm Tree Paintings. ​(US$344) $490 Australian. Completed 18th May 2017. Colourful Creation. 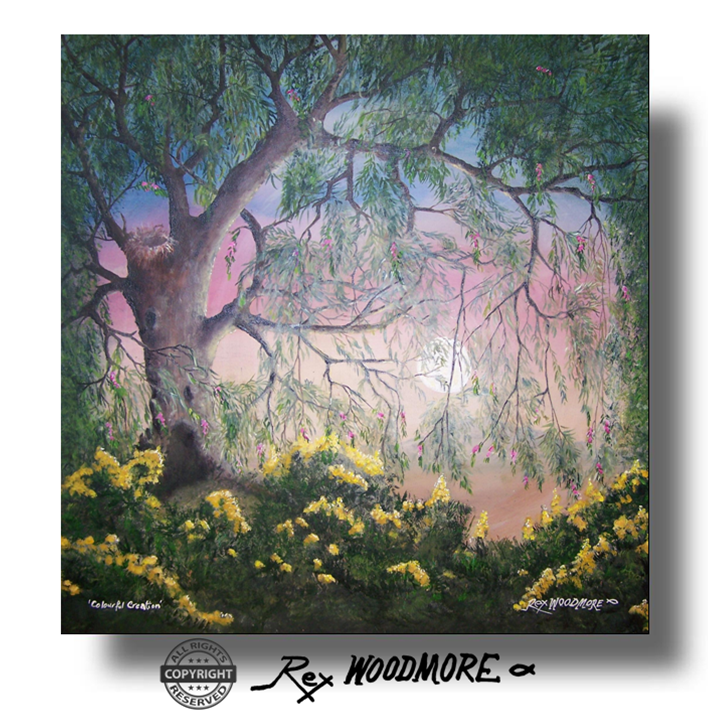 ​A tree with a bird nest, in a moonlit scene with flowers. Gesso and varnished acrylic on stretched canvas ​61x61x4cm. No frame. (US$412) $550 Australian. 2nd May 2017. 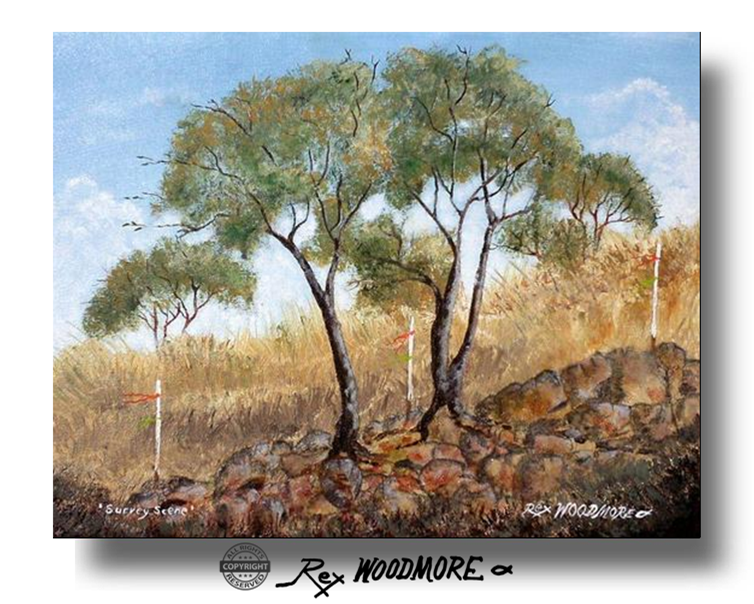 Three Trees. 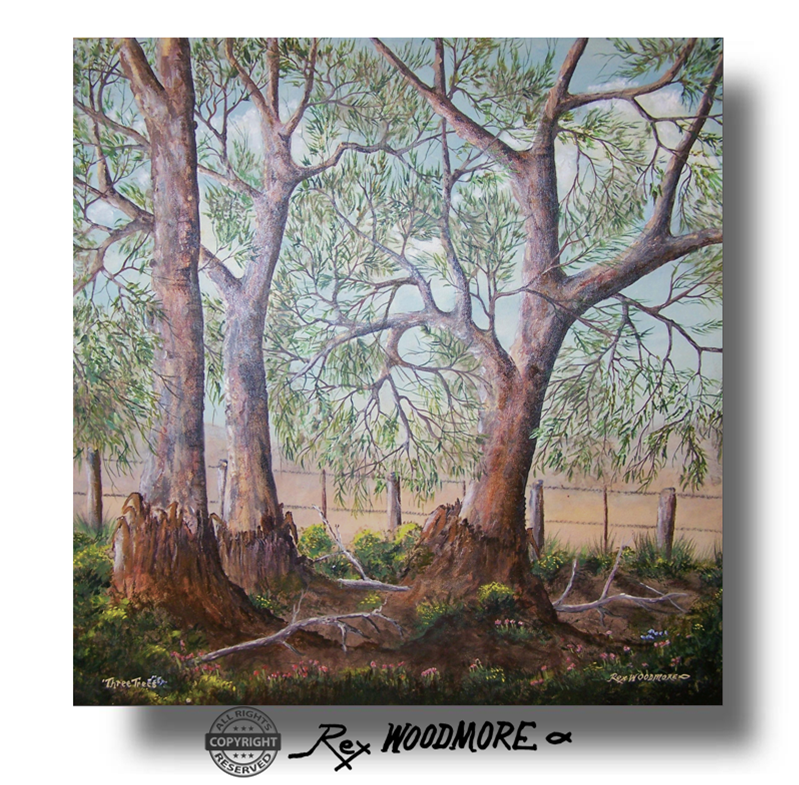 ​Three big Eucalyptus trees with a fence and wildflowers. Gesso and varnished acrylic on stretched canvas 61x61x4cm No Frame. ​​(US$211) $300 Australian. 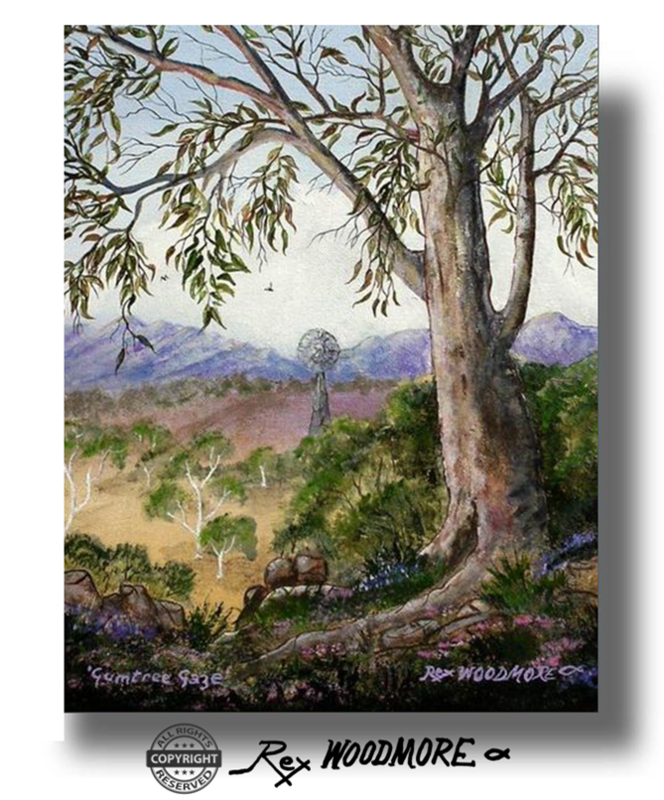 ​A Gumtree standing as if gazing past the windmill to the distant hills. ​Gesso and varnished acrylic on canvas. 36x28cm. No frame. ​​(US$294) $420 Australian. 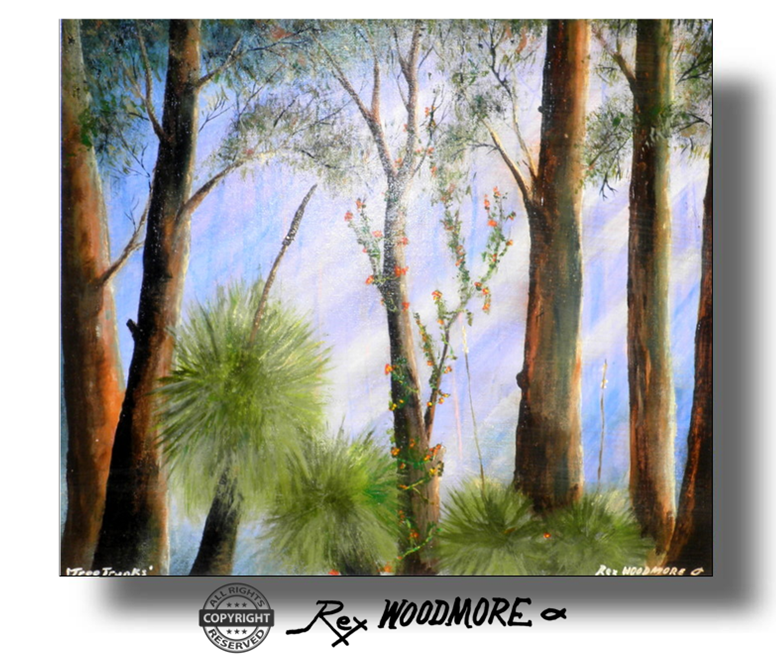 Spring Sprang.​ Spring time in Western Australia. 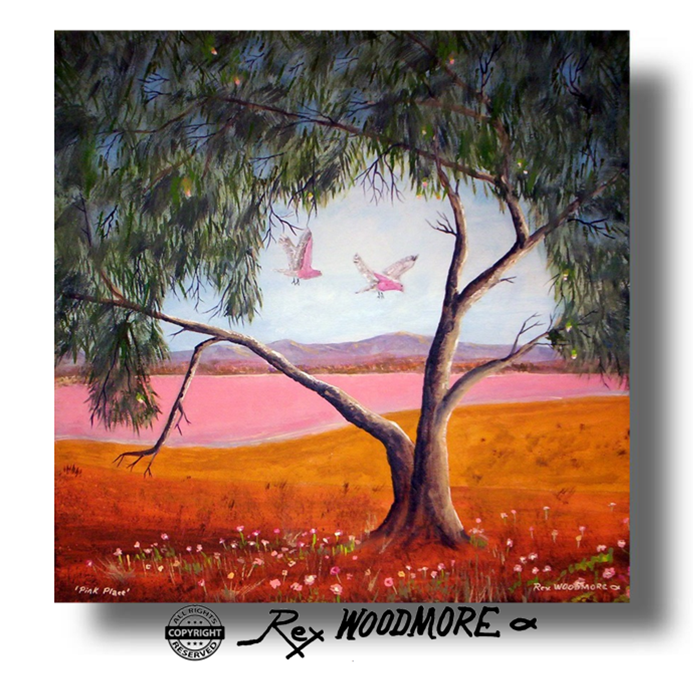 A gum tree in bloom and wildflowers growing beside a dam. Gesso and varnished acrylic on canvas panel. ​45.7x45.7 cm. No frame. ​​(US$211) $300 Australian. Generously Green. 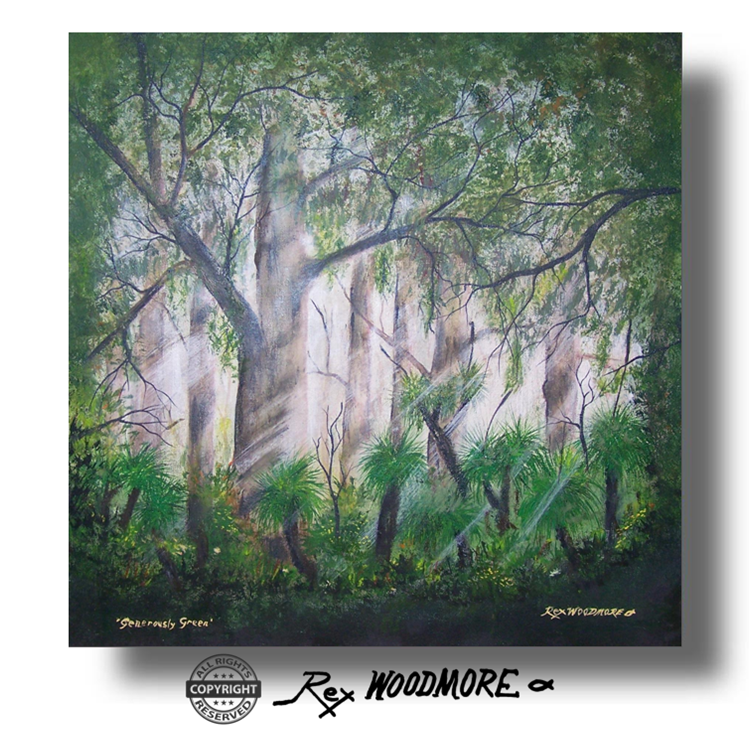 ​A forest of gum trees with sunbeams shining into the under growth of Grass trees and wild flowers. Gesso and varnished acrylic on canvas panel. 45.7x45.7 cm. No frame. ​​(US$239) $340 Australian. Flaming Flowers. 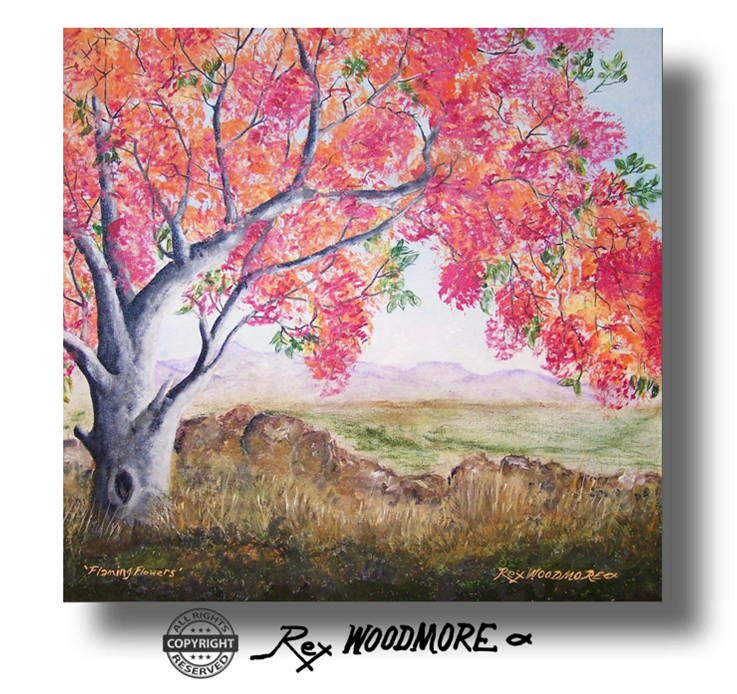 A Flame tree in full bloom, thriving among the rocks in a rural setting, with distant hills. Gesso and varnished acrylic on canvas panel. ​ 45.7 x 45.7cm. No frame. ​​(US$267) $380 Australian. Completed 28th March 2017. Crimson Creeper. 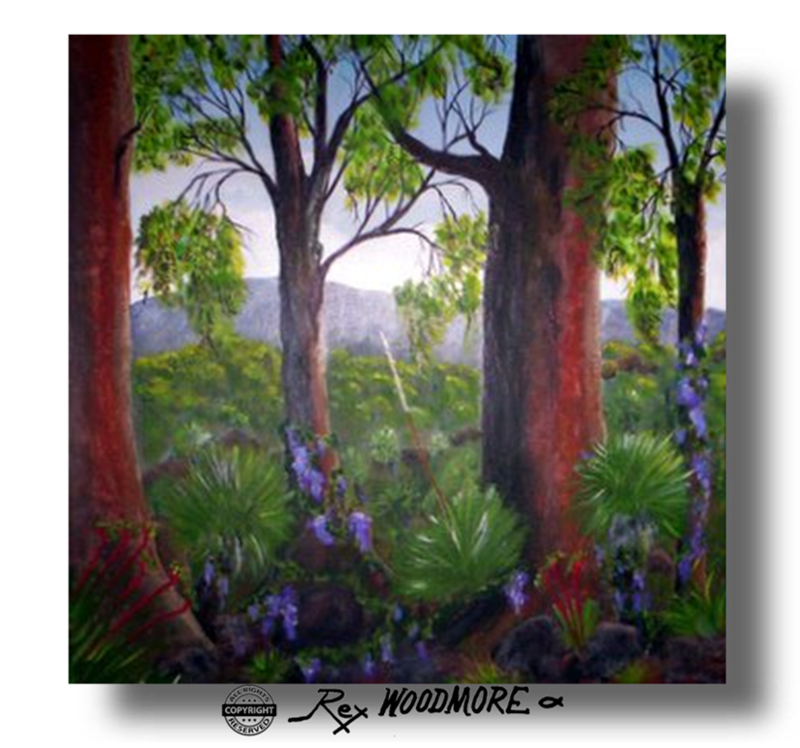 Influenced by the Flinders Ranges of South Australia. 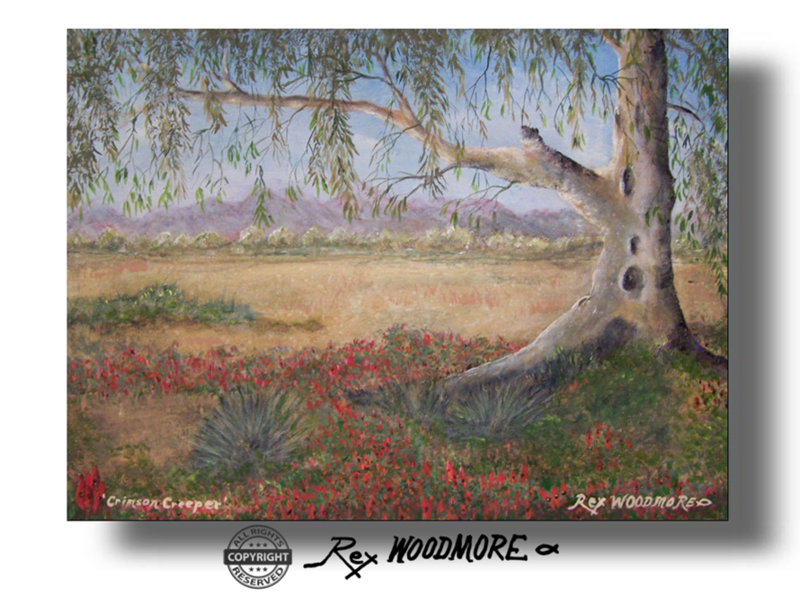 Crimson and black Sturt Desert peas (Swainsona formosa) under a Ghost gum tree. Gesso and varnished acrylic on stretched canvas 30x40cm. No frame. ​​(US$400) $570 Australian. Completed 8th March 2017. 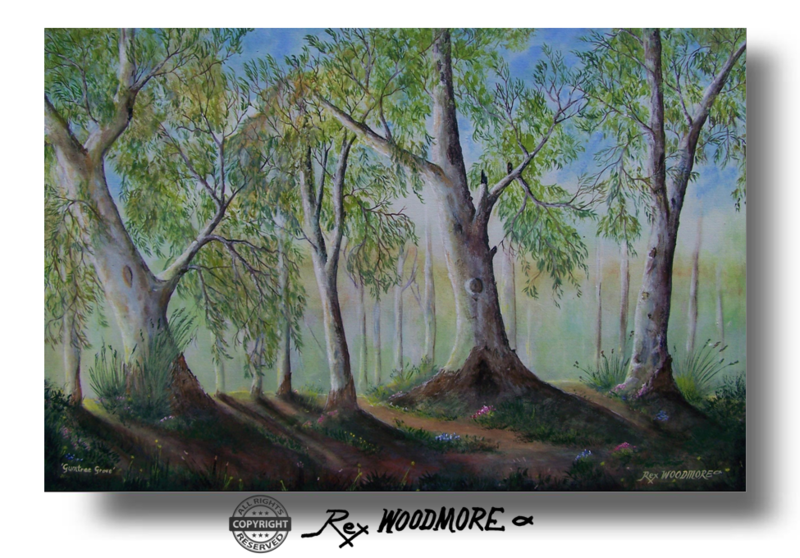 Gumtree Grove. 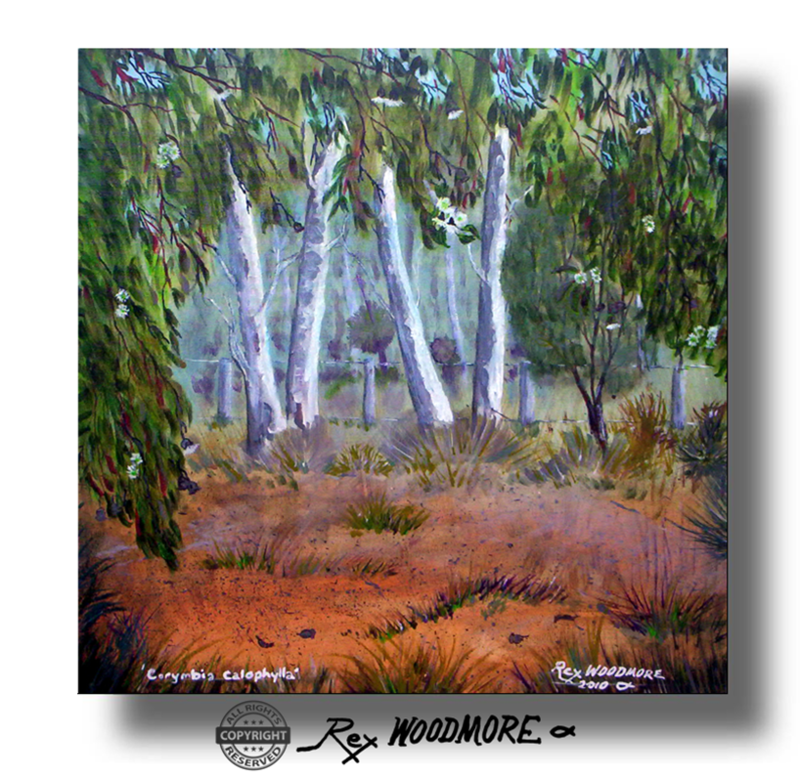 ​A Grove of gumtrees casting long shadows. Gesso and varnished acrylic on stretched canvas. ​60x91x4cm. No frame. ​​(US$211) $300 Australian. Completed June 7th 2015. ​Beautiful Bush. 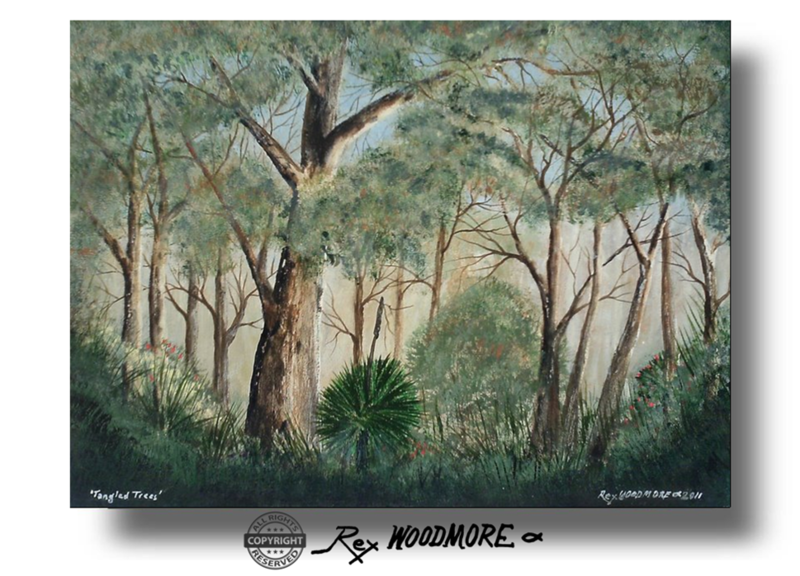 Western Australian Jarrah forest, grass trees, gumtrees & flowers. 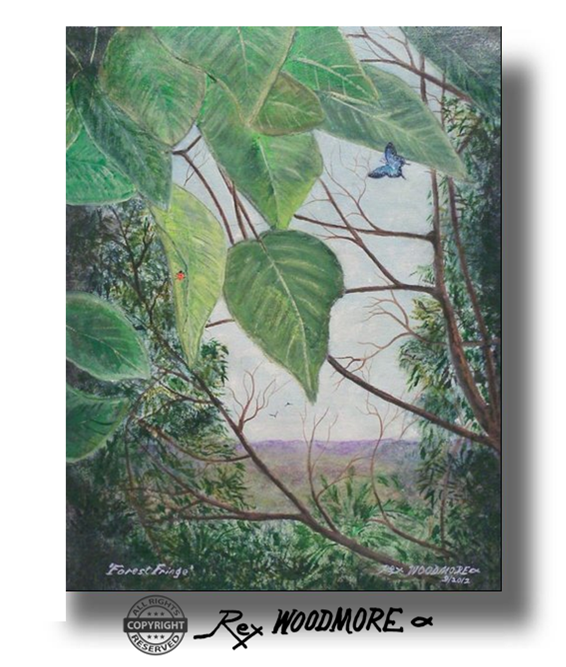 Gesso & varnished acrylic on canvas panel. 30.5x30.5cm. No frame. ​​(US$232) $330 Australian. Completed 7th May 2015. 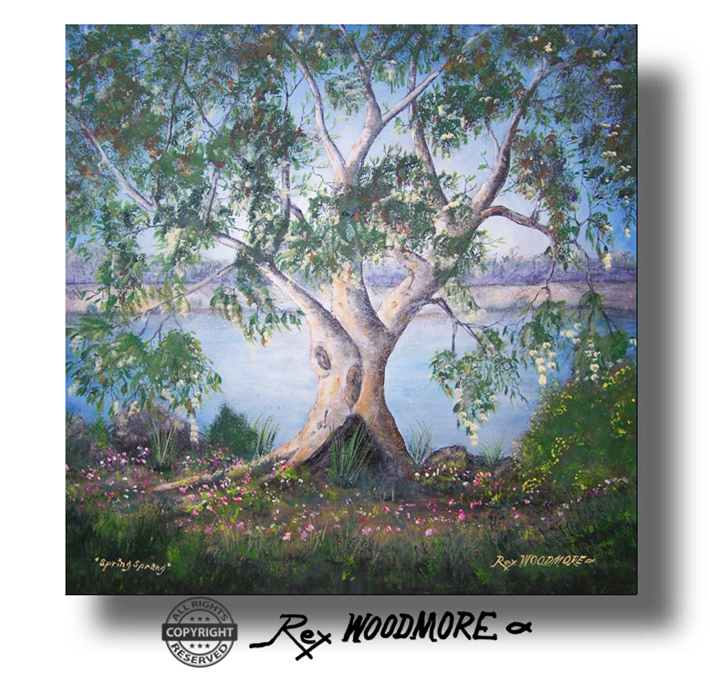 ​Eucalyptus Estuary. 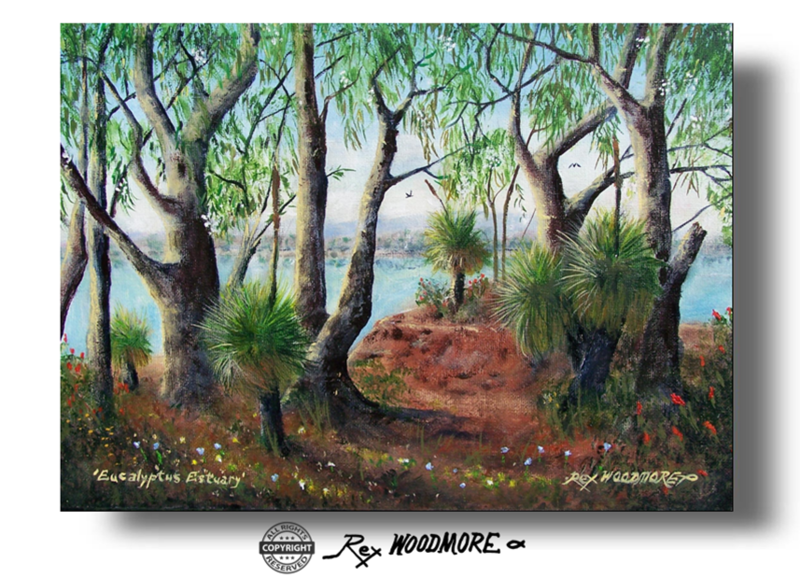 ​ Eucalyptus trees, grass trees & wildflowers at the estuary. ​Gesso and varnished acrylic on canvas 25x35 cm. No frame. ​​(US$467) $665 Australian. Completed 4th May 2015. Blue Beyond. 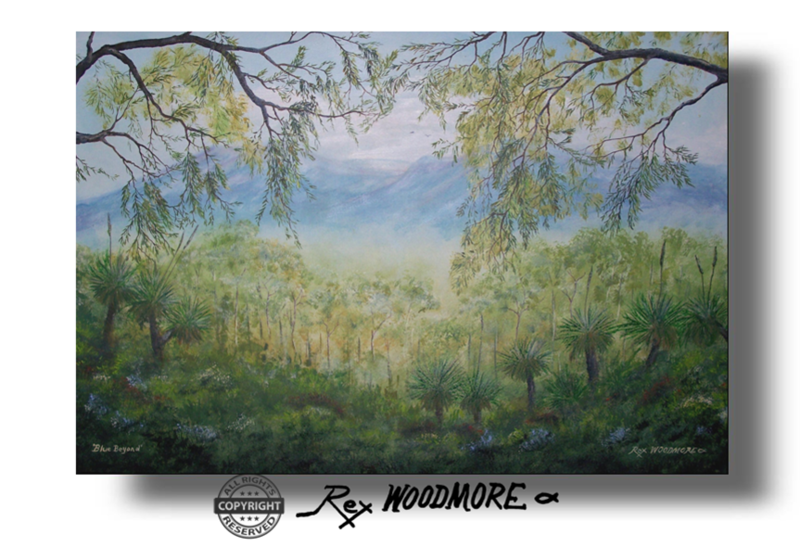 A view over a misty valley to blue hills beyond the gumtrees & grass trees. 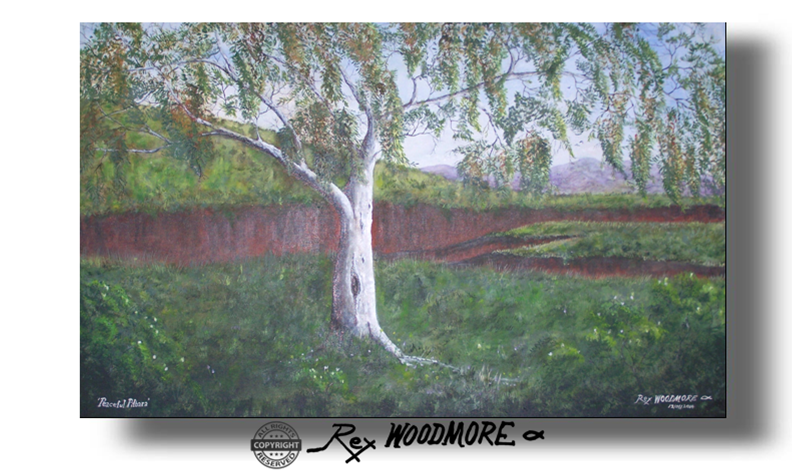 ​Gesso & varnished acrylic on stretched canvas 61x91cm. No frame. ​​(US$295) $420 Australian. ​​A ghost gum in the Pilbara region of Western Australia. Gesso and varnished acrylic on stretched canvas. ​76x121x4cm. No frame. ​​(US$274) $390 Australian. Tree Trio. 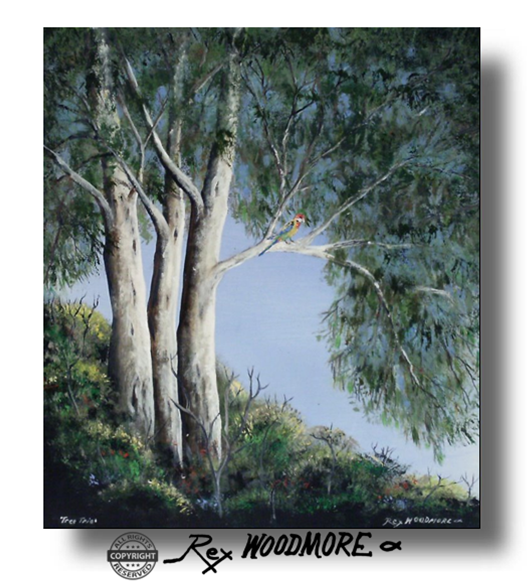 A hillside in Australia with three White Gum trees growing through the scrub, with a Rosella (bird) in the branches. Gesso and varnished acrylic on canvas panel. 41x 35cm. No frame. ​​(US$176) $250 Australian. ​Prospectors’ survey pegs, with tape fluttering in the breeze. A common sight in the Australian bush. Gesso and varnished acrylic on canvas. 28x36cm. No frame. ​​(US$176) $250 Australian. 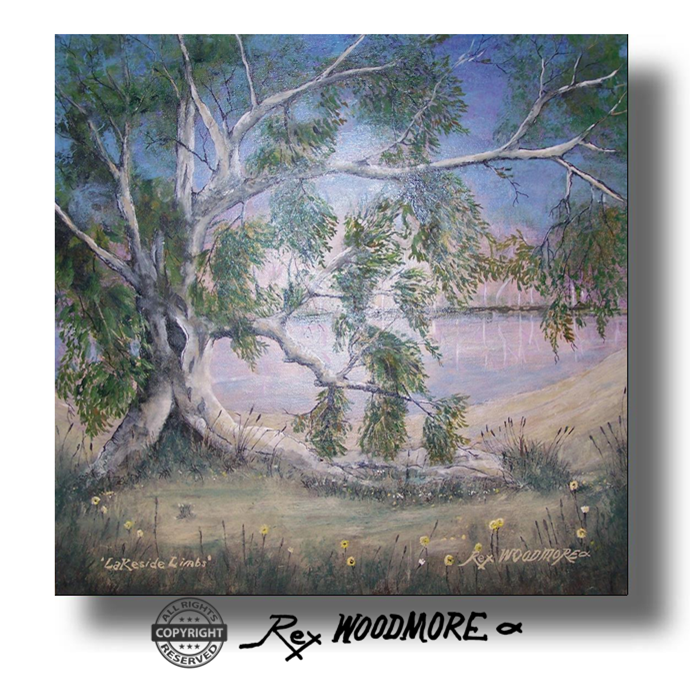 On the edge of a high rocky cliff top, stands a Ghost gum tree and wildflowers,​ illuminated by our bright camp lights, against the dark evening sky. Gesso and varnished acrylic on canvas panel. 36x28cm. No frame. ​and lady bug, to distant hills beyond the flat country. ​Gesso and varnished acrylic on canvas. ​36x28cm. No frame. ​​(US$239) $340 Australian. 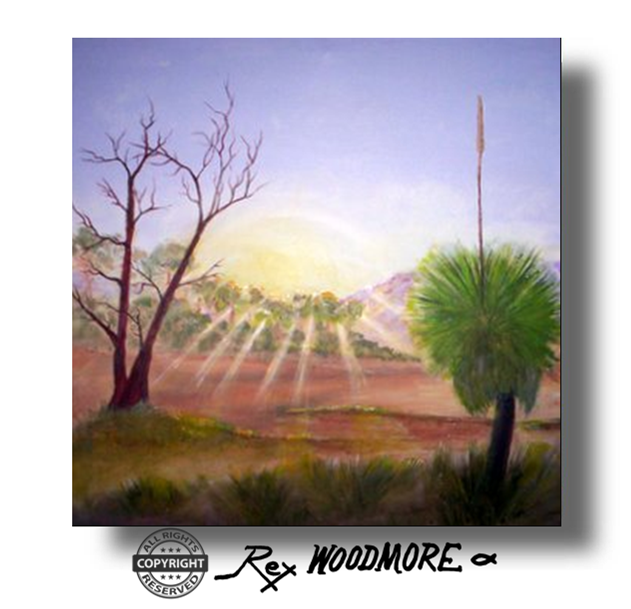 Rural Ranges. 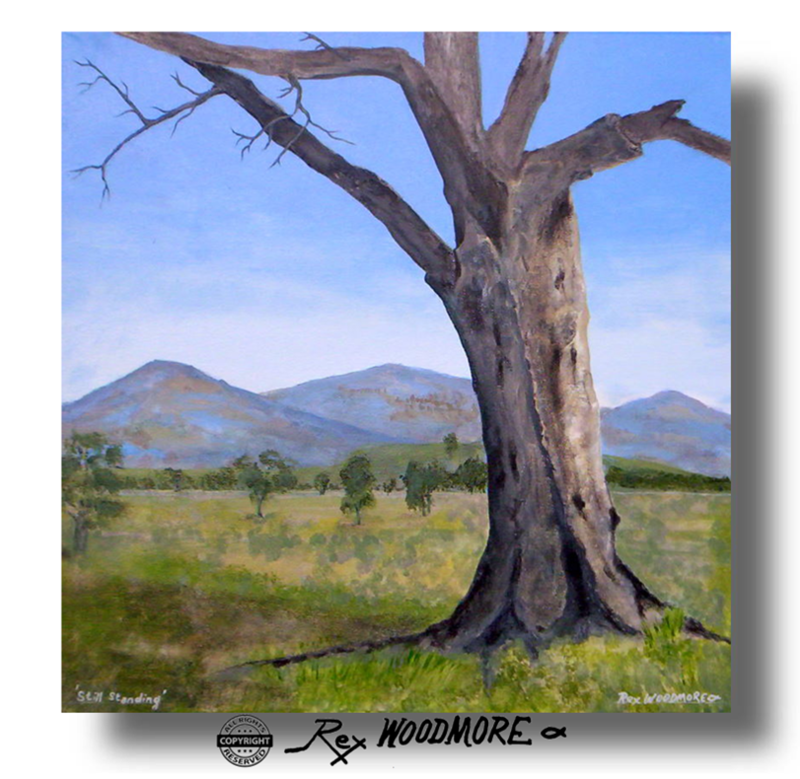 ​Looking to the Stirling Ranges in Frankland W.A. with an Emu in the paddock. ​Gesso and varnished acrylic on canvas . 28X36cm. No frame. ​​​​(US$211) $300 Australian. 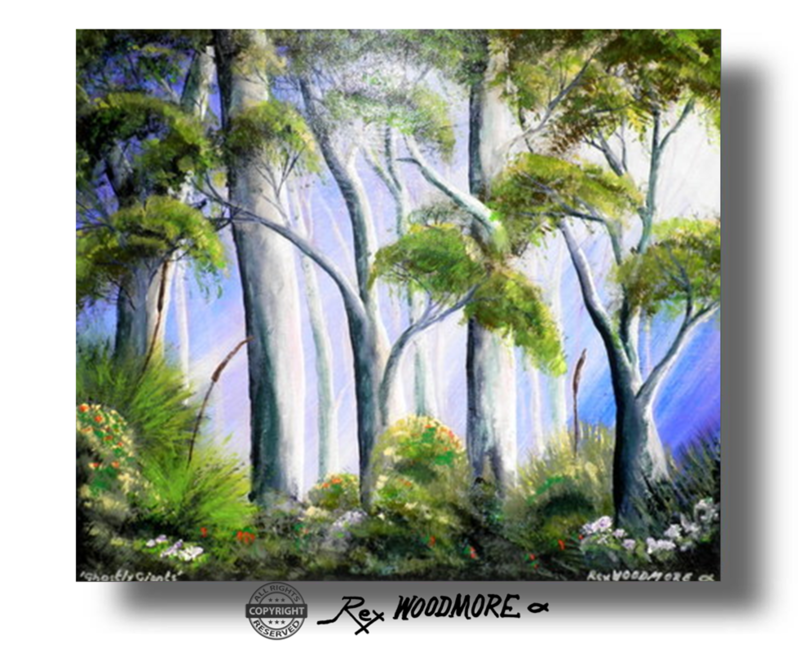 ​An early work of tall ghostly white trees in the forest. Gesso and varnished acrylic on canvas panel. ​35x40cm. No frame. ​​​​​(US$211) $300 Australian. Tree Trunks. 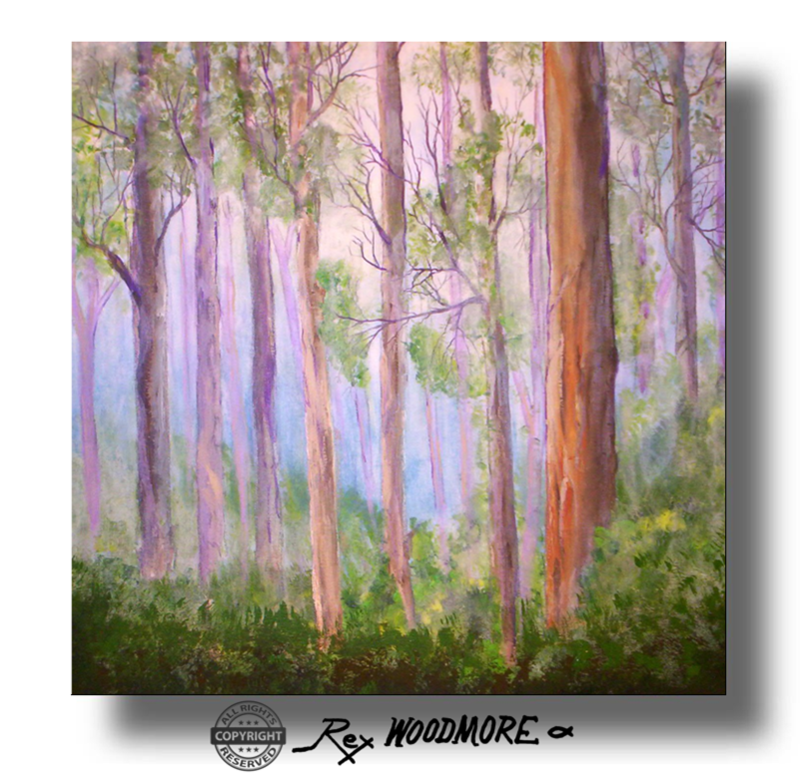 Tall trees in the Jarrah Forest of Western Australia. 35x40cm Gesso and varnished acrylic on canvas panel. 35x40cm. No frame. 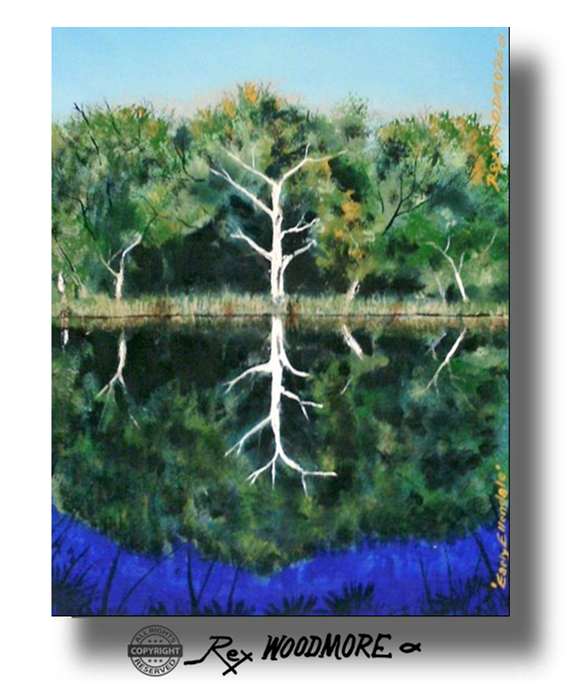 ​​​​(US$211) $300 Australian.Tangled Trees. 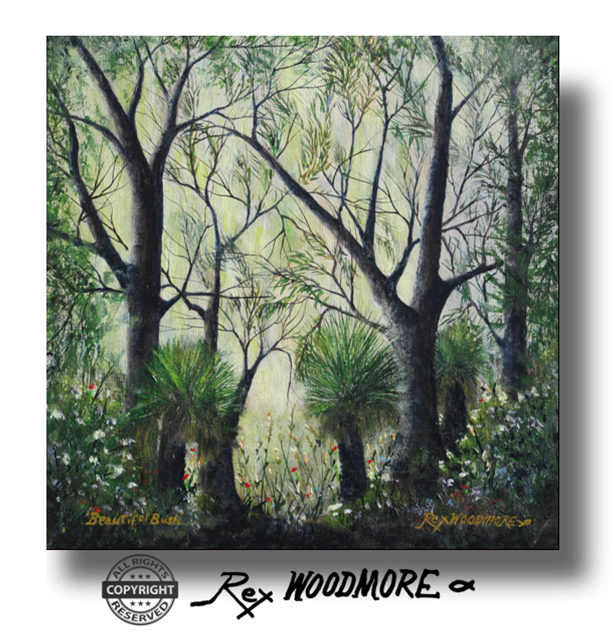 ​A tangled forest of Gum trees & Grass trees. ​Gesso and varnished acrylic on canvas panel. ​ 30x40cm. No frame. ​​​​​(US$176) $250 Australian. 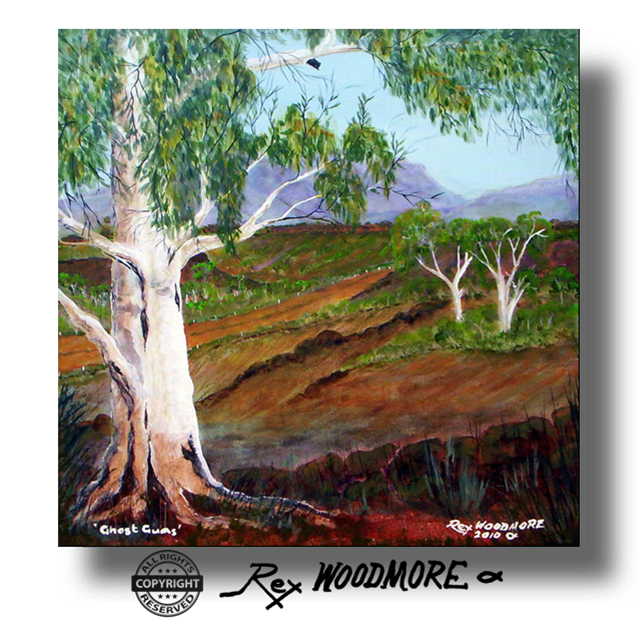 Ghost Gums. ​​An early work. 2010. 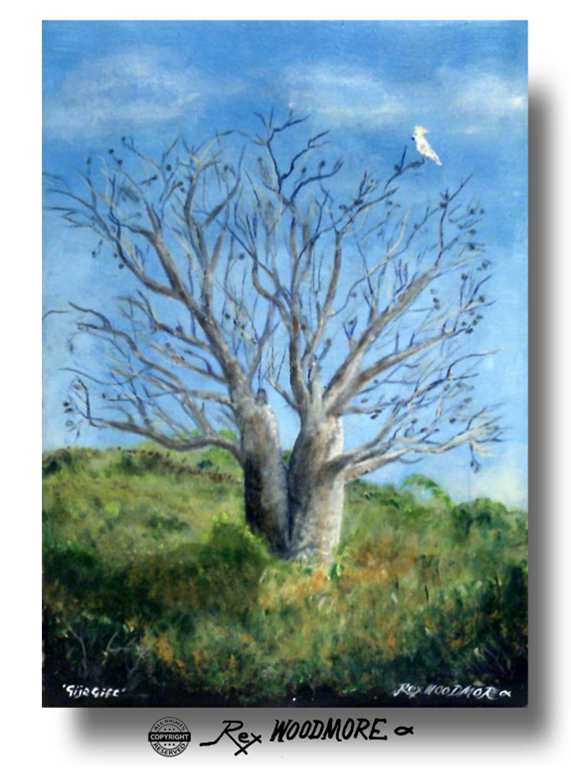 ​My first Ghostgum tree painting. Gesso and varnished acrylic on stretched canvas. ​45x45cm. No frame. (an early work) 45x45cm. No frame. ​​​​​(US$176) $250 Australian. Subtle Sunrise. Waking up to the first rays of sunrise while camping in the outback. Gesso and varnished acrylic on stretched canvas. (an early work) 45x45cm. No frame. ​​​​​(US$246) $350 Australian. Completed 2010. ​Corymbia Calophylla. 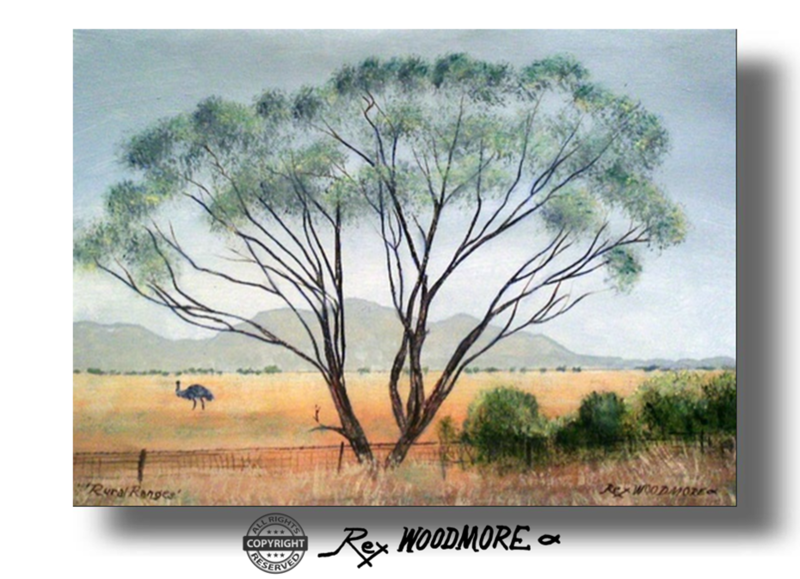 ​The name refers to the flowering branches of the Red Gum tree (Corymbia Calophylla) in the foreground. Gesso and varnished acrylic on stretched canvas. 45x45cm. ​​(US$176) $250 Australian. King Karri. ​2009 (As a very early effort it could be a valuable collectors piece). ​​The Karri Forest in Western Australia. Gesso and varnished acrylic on Stretched Canvas. 45x45cm. No frame.